pizza crusts and sandwich thins, which are available both on grocery store shelves and at popular veggie-forward restaurants around town. Looking to add a delicious, low-carb, plant-based twist to your cooking? 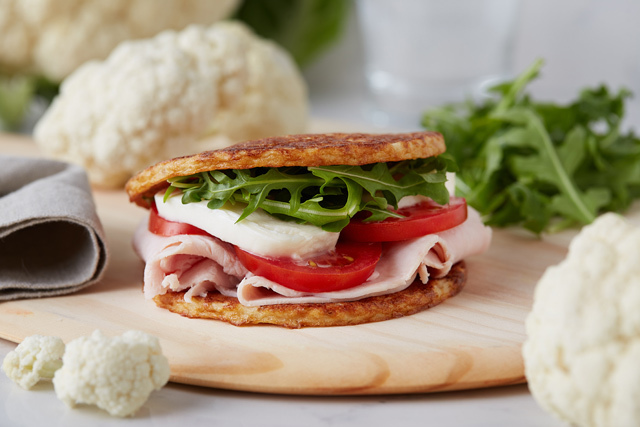 Then pick up a cauliflower bread substitute made by Outer Aisle Gourmet, a Santa Barbara–based line of sandwich thins and pizza crusts with a wide array of culinary uses. Since hitting grocery shelves in March 2015, the tasty thins and crusts — which also work well for wraps — have become hit items on menus in restaurants such as Viva Modern Mexican, Green Table, and Pizza Mizza. But they can still be brought home for your own recipes, whether you are in need of a gluten-free option or just want to add a savory surprise to staid recipes. Developed by S.B. health enthusiast Jeanne David and her family, the set of brassica bread stand-ins work great for vegan and paleo diets and are nutrient-dense, packed with phytonutrients not found in traditional bread bases. David crafted her cruciferous creations when she sought a better low-carb sandwich substitute than usual opt-ins like lettuce. “We really wanted a whole-food-based product,” said David, former executive director of the Central Coast branch of the Arthritis Foundation and founder of nonprofit Taste of Hope. 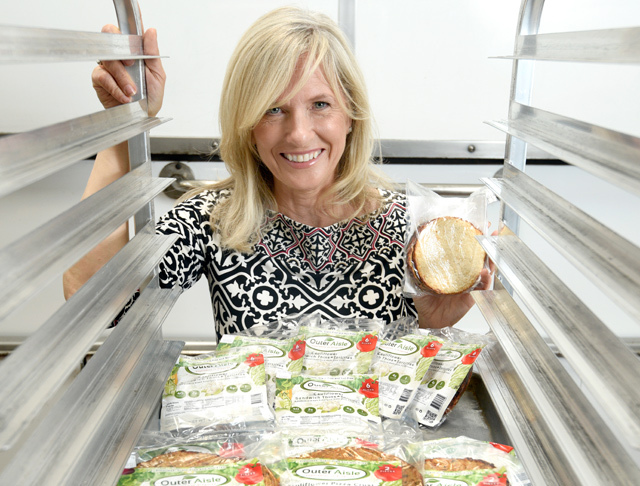 So she and her husband designed Outer Aisle’s offerings to combat the inflammatory effects of empty carbs, packing more than a single serving of vegetables into each item. 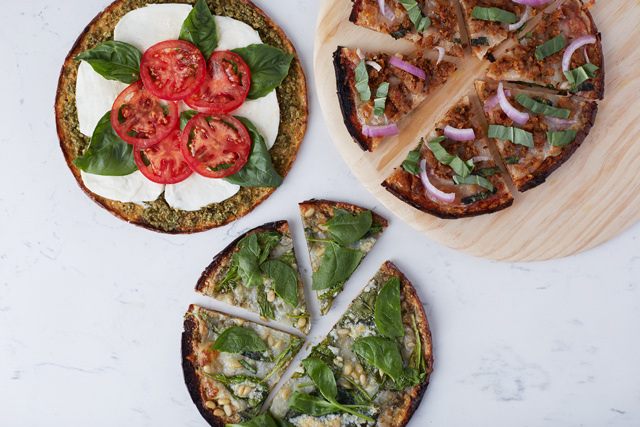 The crusts, meanwhile, make a great base for all of your favorite pizza toppings. But there’s more to it than meets the eye: They also work just as well subbing for tortillas, breadsticks, and panini, or even in place of pasta sheets for your lasagna. Outer Aisle Gourmet products can be found at Lazy Acres, Whole Foods, Isabella Gourmet Foods, Green Table, the Isla Vista Food Co-op, and Solvang’s El Rancho Market or via its website, outeraislegourmet.com.